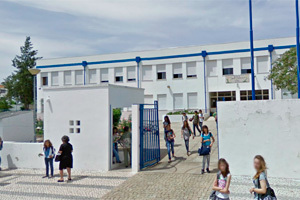 Escola Básica 2,3 Abade Correia da Serra, is the central school of a school group, Agrupamento de Escolas de Serpa, wich also includes 4 primary schools, with pupils aged between 6-10 and one pre-primary school (around 650 students total in all the school group). All the schools except one primary are in Serpa. Serpa is a municipal town with around 6,000 inhabitants. It is located in the Alentejo region, south-west of Lisbon, next to the border with Spain. It is a rural and isolated region, poor with a high unemployment rate and one of the lowest population densities in Europe. Paradoxically, it offers a rich natural, cultural and built heritage: festivals, traditions, gastronomy, its landscape and the typical rural earth architecture. The school’s students belong to families of medium/low socio-economic status. A great number of mothers are unemployed. Most students come from poorly educated families. The School’s Educational Project is centred in priority values such as responsibility, autonomy, tolerance, respect for the others, solidarity and self-esteem. The school’s main aims are to foster education success by adopting measures that can help dilute the effects of socio-economic differences and specific learning difficulties, to help students develop the pleasure of learning, to promote quality work and responsibility, to sustain effort and persistence, to develop attitudes of respect and solidarity, to promote healthy habits and foster cooperation among students, families, teachers and school staff. The school has got a wide range of activities for students at risk of exclusion. It is attended by pupils from the gipsy ethnic group, as well as pupils belonging to migrant families from Brazil, Romania and Capo Verde. There are also students with special education needs, who take part in ordinary classes with the help of qualified teachers. In order to be more effective in this field, the school has been also creating special classes following an alternative curriculum. The school has developed European projects within the framework of the LLP Programme as an important strategy to counteract isolation and promote European citizenship as well as foster the development of innovative strategies and contexts.